These cartes de visite were in an album that belonged to Revd A Rust, Port Chaplain in Calcutta in the 1870s. 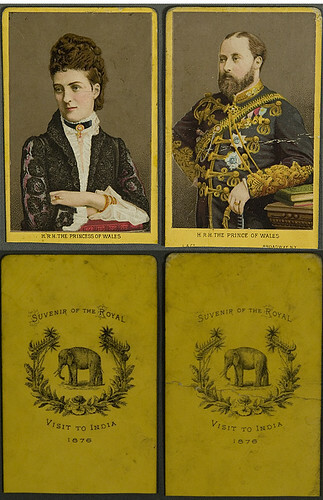 As the reverse of each card shows, these were souvenirs of the royal visit that made in 1876. 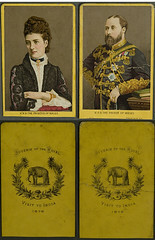 The photographs, however, are from the studio of "L & Co, Broadway, New York"